The ECO is providing some extra star power to its usual sonic excellence, providing a wonderful opportunity to enjoy one of the world's finest composers. Stravinsky's Soldier's Tale is a notable work by one of the most influential composers of the 20th century. The story follows Joseph, a Russian military member who sells his violin – and, of course, his soul – to the devil, leading to a dramatic battle of wits between the two. The stunning libretto is an impressive work, featuring several time signature changes and jazz influences, and the Erie Chamber Orchestra is up to the task when it hosts Stravinsky's 1918 libretto Sunday, Feb. 15 at the Cathedral of St. Paul. The ECO won't be alone to take on Soldier's Tale, as a few guests will be in Erie for the occasion, including trumpeter James Thompson, bassist James VanDemark, teenage violin sensation Ade Williams, and actor Harry Lennix, a man you may recognize from roles in the NBC drama The Blacklist and the Matrix films and just so happens to be the godfather of Williams. "I love music; I'm a former music educator myself from the Chicago school system," says Lennix, who will serve as the narrator in Soldier's Tale. "[ECO Executive Director] Steve Weiser asked me if I would come in and do it, so it was by association that they found out about me and I was, of course, willing to go along with it." 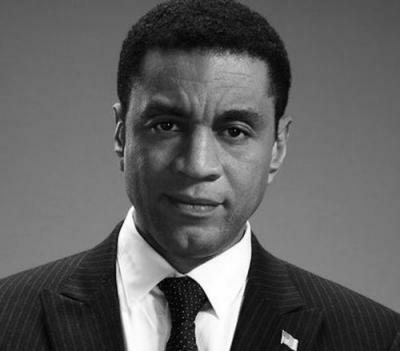 The deep-voiced Lennix has worked on several high-profile projects, but the opportunity to work with a talented orchestra to recreate one of Stravinsky's timeless pieces is something that he eagerly accepted based on his connection with Williams and his past experience as a narrator. "I always enjoy it, to be within that cocoon of sound, that warm embrace of all of these tremendous musicians behind you supporting whatever the narration is," Lennix says.